UPDATE 07/02/13: The Houston Chronicle reports that the dog that killed a 63-year old woman on Monday was shot to death Tuesday night. Since the attack, the animal has managed to evade deputies who mounted a serious search effort in the Woodland Hills subdivision where the attack occurred. Liberty County Sheriff's Office warned area residents to "NOT approach this dog" and to keep small children and family pets inside their home until the animal was captured. Upon arriving at the woman's home on the day of the attack, deputies fired three shots at the dog. At least one struck the animal, according to the article, "that left a flesh wound in his neck." Liberty County sheriff's Capt. Ken DeFoor said, "The dog had yelped but had still been able to escape under the fence and flee after he was wounded that first time." It took two more shots by a deputy on Tuesday night to finally bring the animal down. The dog's remains will be tested for rabies. Information was also provided about the pet dog the animal first attacked prior to turning on its caretaker Linda Oliver. Investigators said her small brown wiener dog suffered deep lacerations on its throat. Oliver had been feeding and caring for the stray dog for about two weeks prior to the attacks. After being severely injured by the dog, Oliver crawled from her front yard into her home and called her husband before passing out. 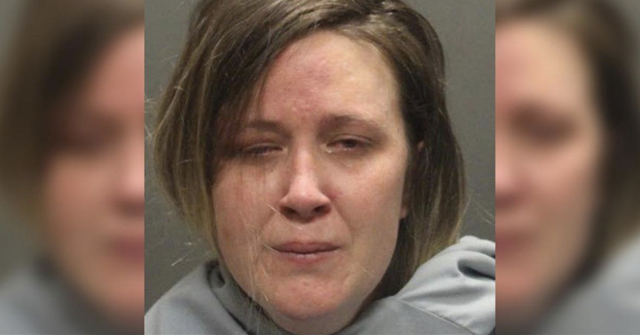 She was dead by the time deputies arrived. The KHOU article, along with others in this developing story, report that just after the woman told her husband she was bitten, the phone line went dead. At the time of the call, her husband was at work in Pearland, an hour's drive from his home. This is why he called Liberty County Sherifff's Office and asked that they check on his wife. The husband was still on the phone with the sheriff's office when the deputies arrived at his home. He told them to shoot the dog if needed. The dog is now being described as a rottweiler-mastiff mix. In the video -- not the textual content of the article -- KHOU speaks with one of the victim's best friends, Lillian Pressly. The story she shares is unfortunately not uncommon: "Oh yeah. He's very dangerous," Pressly said, "especially if he doesn't know you. I can't even come over here. They have to put him up. The other dog is fine, no problem. But him, he has to be put up. So that I can come over and visit," she said. This senior couple's error in taking in this large, known aggressive dog proved to be fatal. 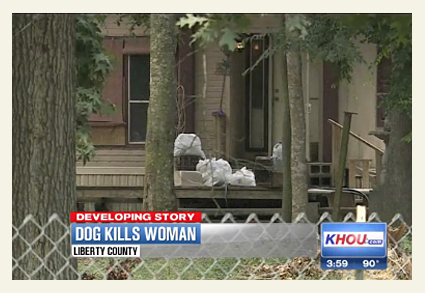 Liberty County, TX - In a developing story, authorities in Liberty County confirm that a dog killed a 63-year old woman today. The sheriff's office received a call from the woman's husband at about 10:30 am, asking that they check on her. The husband was worried because she had called him and said that the stray dog they had been feeding attacked the family's pet dog then attacked her. When deputies arrived at the front gate of the home on CR 6478, the dog confronted them. One shot was fired at the dog and it briefly fled. The animal returned and deputies shot at it again, hitting it at least once. The dog then fled the property entirely. When deputies checked inside the home, they found Linda Oliver lying on the floor in the living room. She was deceased at that time, covered in dog bites, and had lost a large amount of blood. The stray dog the couple had been feeding for two weeks is described as large, long-haired and black with a white spot on its chest. The animal continues to be on the loose; authorities are patrolling the area to find the dog. some nutter wondered why no one is calling for a ban on labs ? well , it might have been pitbull , since nobody can identify them . certainly might have had some other blood than lab. or it coulda been deranged or sick (rabies). when labs start killing in pit-like numbers i will call for a ban on them too. At least one report did mention a pit bull. "The breed of the dog is unknown, but it is thought that it might be a Labrador mix and not a pit bull as originally thought." Texas has now sustained 36 DBRFs since 2005. The rest of doggiedom?…not so much. On another note; pits and Rotts have now killed over 400 Americans since 1976. The media is so sad — this woman owned her own dog grooming business. How could they miss that? "Linda was born March 15, 1950 in San Benito, to parents; Robert A. Merrell and Lucille Overton, a former resident of Sheldon, and has resided in Dayton for the past 19 years. She attended the San Jacinto Community College, owner of Linda’s Dog Grooming in Dayton and Sheldon, and member of the First Baptist Church of Sheldon. She also assisted in the Sheldon area little league and booster organizations, and was an art instructor. 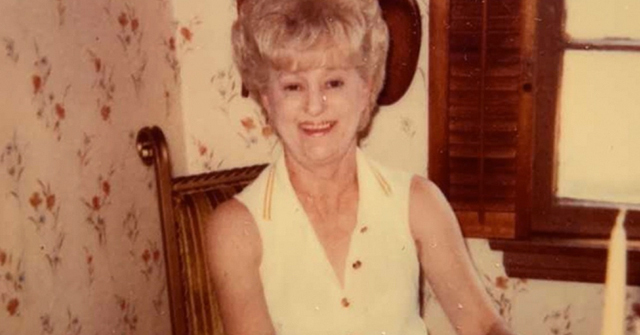 Linda enjoyed caring for animals, art, music, cake decorating, and sports." Thanks for the information, Maultalk. I kept coming back here looking for more each day. Her story seemed incomplete. 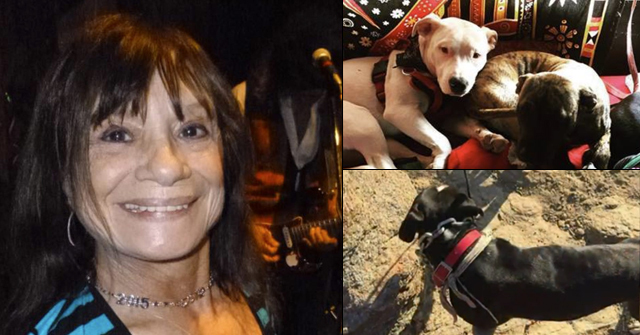 As you know, the last three of four fatal dog attack victims' stories have been incomplete. We are still looking for the obituary of Ayden Evans. There was no follow up from Oklahoma news stations after his parents returned with their son in an urn. It may be weeks before we learn anything else about Arianna, if at all. Ayden's death haunts me the most and how his family is coping with his loss. They should have shown a close-up picture of the dog after it was shot. It just looks like a black blur in the video. How was it now comfirmed to be a rottweiler and not a rottweiler mastiff mix? I'm not sure what you mean. 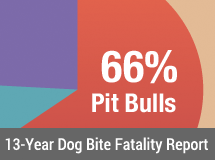 It is recorded as a rottweiler-mastiff mix, the primary breed is listed first (https://www.dogsbite.org/dog-bite-statistics-fatalities-2013.php#linda-oliver). Only the primary breed is used in fatality statistics. This is true for all dog breeds. sorry to confuse but I was aware in your blog it said Rottweiler-mastiff mix but a commenter on my page was asking why it said Rottweiler-mastiff then in your 2013 fatality report it was only mentioned as a Rottweiler. so thanks for letting me know so I can clear that up with him.